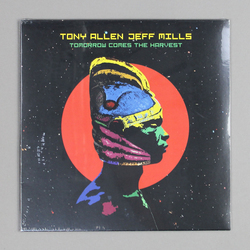 Tony Allen & Jeff Mills - Tomorrow Comes the Harvest. Vinyl LP. Bleep. Housed in one of the best record sleeve designs of the year, Jeff Mills and Tony Allen link up once again for a four-track session of polyglot jazz and no-fuss funkiness, this time for the needs-no-introduction legendary label, Blue Note. While it's definitely not a techno project (probably for the best as often live instrument led techno struggles to translate well - sorry! 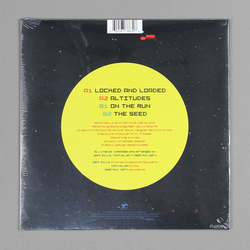 ), Mills and Allen's new 10" is a proper kaleidoscope of fast-paced rhythms and rainbow painted drums. It’s incredibly funky in all the right ways and if you are looking for some deejay heat from Mills that moves away from the studio electronics and into the music library, this one seriously smashes it. Easily the best Jeff Mills record since the last and another very much essential plate from Tony Allen.